I think this is the perfect dress to go out to afternoon tea wearing, isn't it fabulous? Just look at that huge cherry on the top of each cake. 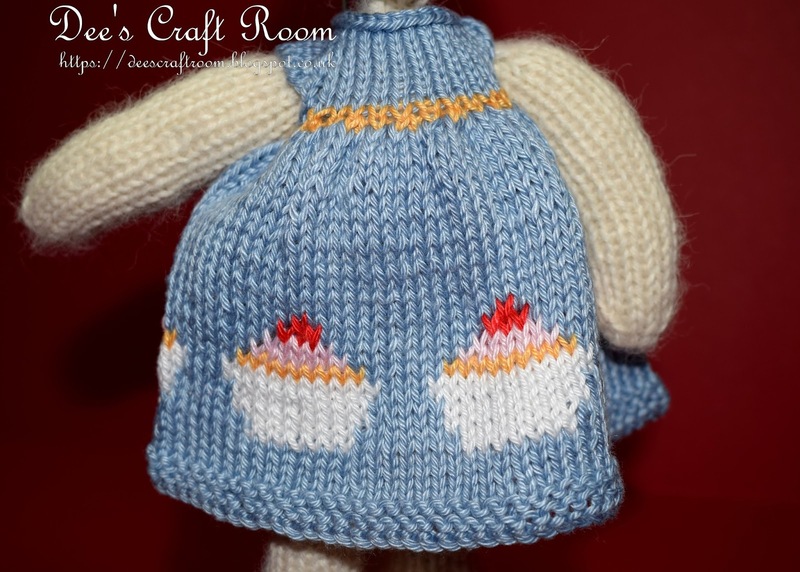 This cup cake pattern is a suppliment to the Julie Williams 'Seasonal Dresses' leaflet and can be found on Ravelry as a free download. 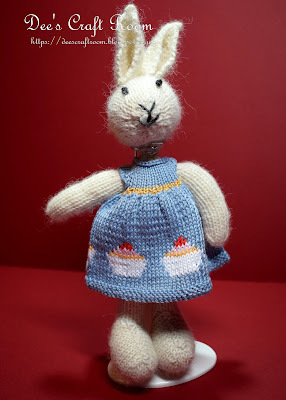 I have made the dress with a fuller skirt to accommodate our bunnies fluffy tail. I just love this airforce blue colour, isn't is wonderful? As always, I have used 4 ply cotton to make this dress. Ha ha, I can just see you walking into Betty's wearing a dress covered with images of fairycakes!